As we look to the future, we’re often reminded of our past. The decisions we have made over the years in terms of what features and functionality to add to our products are a direct result of client requests, attendee feedback and trending data. This feedback loop is an important component of what makes Core-apps successful. Our purpose is to create event technology products and features that enhance the attendee experience and add value to all event stakeholders. It was the catalyst for the company back in 2009, (this show needs an app!) and it resonates today in 2019 as our guiding principle. 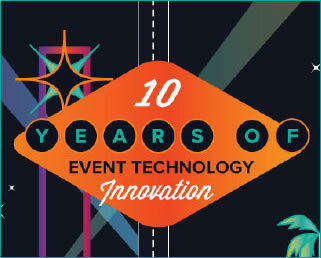 "10 YEARS OF EVENT TECH DATA"